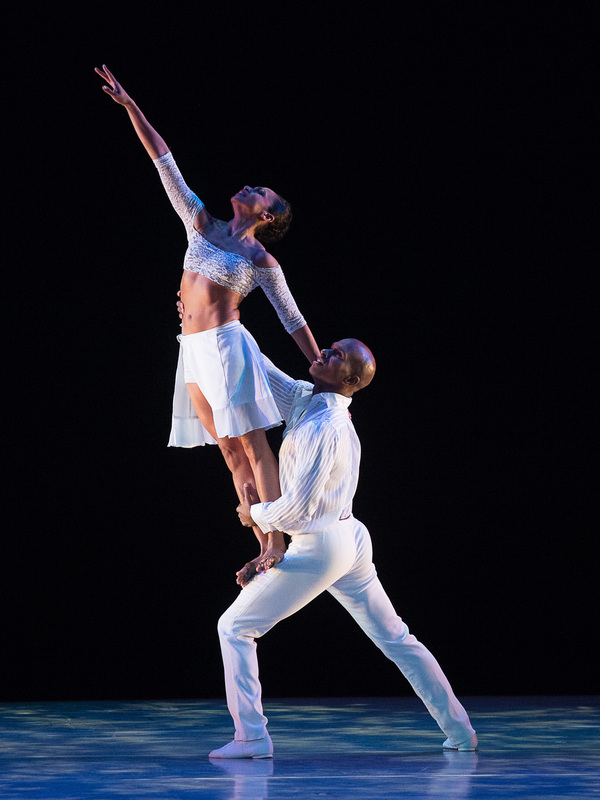 Alvin Ailey Dancers Linda Celeste Sims And Glenn Allen Sims On Working Together Linda Celeste Sims and Glenn Allen Sims met at work — at the Alvin Ailey American Dance Theater. Over 15 years of marriage later, they have some advice for balancing it all and sustaining a marriage. 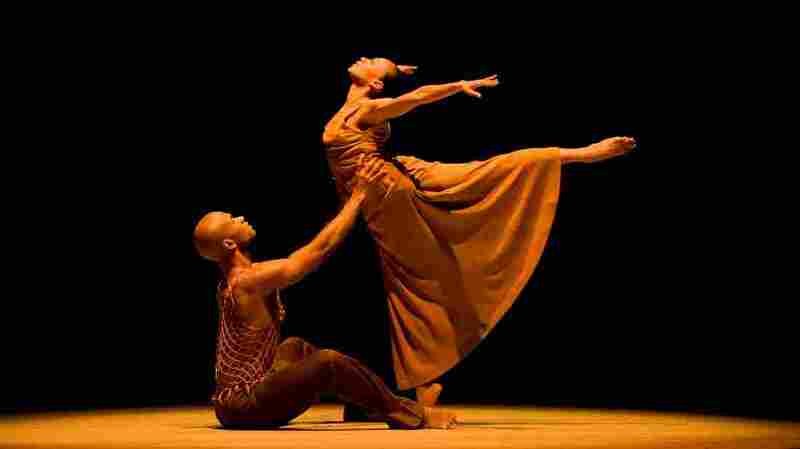 Glenn Allen Sims and Linda Celeste Sims perform the duet "Fix Me, Jesus" in Alvin Ailey American Dance Theater's Revelations. The pair have been married for almost 20 years. Linda Celeste Sims and Glenn Allen Sims are two of the longest tenured dancers in the Alvin Ailey American Dance Theater company — one of the best known and most loved dance companies in the country. They're also married. The pair have danced together for years, forging their love story in the hard work, pain and drama of the dance world. And yet, it endures. Ahead of Valentine's Day, the couple spoke with NPR's Michel Martin about how they met, what it's like to work together as spouses and what advice they have for sustaining a marriage. Glenn Allen Sims: Well, I guess I saw her first. It was one of those situations where we were on a five-minute break and we were in the dancers lounge, and I just started talking to her because she was also new and she was actually quite shy. I was new, so I was sitting back in the corner observing the room, and I noticed that she was kind of the same, as well ... By the end of the day, when we left, I kind of did the, you know, "Hey guy" jog up to her, like, "Do you mind if I walk with you?" She was like, "No, totally." Linda Celeste Sims and Glenn Allen Sims are two of the longest tenured dancers in the Alvin Ailey American Dance Theater company — one of the best known companies in the country. Linda Celeste Sims: So Glenn and I love dance. We love it as a profession, and we knew that if we were going to start dating that we needed to respect the studio space and the work space and keep it separate from our relationship. Glenn Allen Sims: I've had many partners — countless partners that I've worked with — that were wonderful to work with, great experiences, but when I got a chance to work with my wife, it was just like this is the feeling that I wanted to be able to have. This is the feeling that I think the audience should experience, when both people are being vulnerable enough and free enough because they are secure with one another. Linda Celeste Sims: And, you know, just to add to that, for me what it feels like to me is freedom. The ability to draw the space with my body with someone that I know that if I just take a breath he can come and catch me, and every day your breath is different, every day you feel different. And I know for a guarantee that this man has my back. Linda Celeste Sims: Just don't forget the reason why you loved him, or, you know, vice versa. The reason why you chose this person to live [with] forever. Glenn Allen Sims: I would say for us definitely remembering that she is my friend first and foremost. An older person told me this: To keep the romance in your marriage. It's something that in this day and age we think, you know, "Valentine's Day, this is the one day that I should appreciate my spouse." No — you should try to find those spaces, finding time to pull away from the rest of the world and just being with one another.